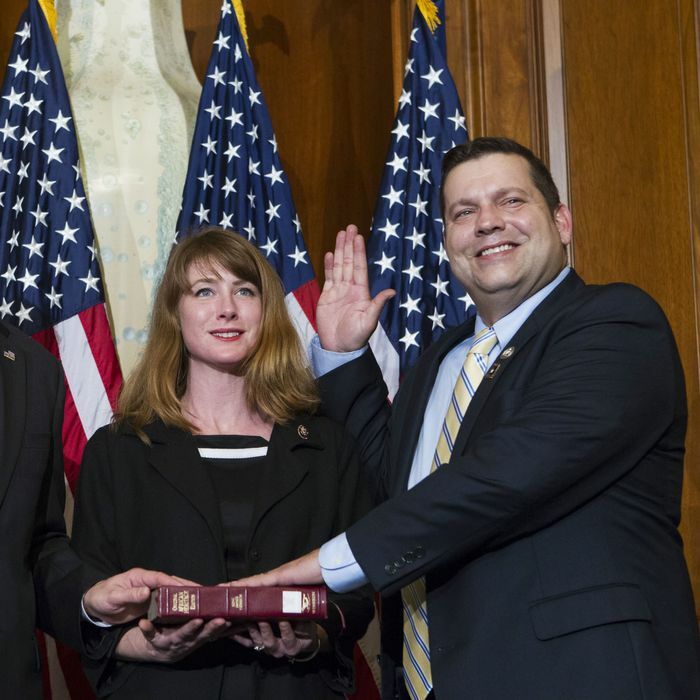 Tom Garrett Quits Reelection Campaign, Admitting Alcoholism. Not knowing the man personally, I followed his erratic career — and particularly his really erratic campaign for reelection — not knowing that he was a victim of alcoholism, which has symptoms that do tend to overlap with the kind of ideological fevers and vulnerability to political pressures to which Garrett was manifestly subject. Near the beginning of the weekend that culminated with the embattled congressman’s self-defenestration, he surprised a lot of observers by confirming a reelection bid that most thought he was giving up via poor fundraising efforts and generally strange behavior. Then he was hammered by a Politico report that he and his wife had succumbed to the common but politically devastating temptation of turning congressional staff into The Help and saddling them with completely non-governmental chores. Now, presumably, he is going to get the help he actually needs. [Garrett] was officially nominated to seek another term months ago. His impending departure means the 5th Congressional District Republican Committee, which has about three dozen members, will choose a new nominee to face Cockburn. As the story unfolded over the past few days, Republican observers of Virginia politics have said possible candidates from the General Assembly could be state Sen. William M. Stanley Jr. (Franklin), Sen. Jill Holtzman Vogel (Fauquier) and Del. Robert B. Bell (R-Albemarle). Tech executive Michael Del Rosso and businessman and developer Jim McKelvey both sought the nomination in 2016 and could also be interested. The Democratic nominee in Virginia’s Fifth Congressional District, Leslie Cockburn, who was raising more money than Garrett, is looking pretty good at the moment. Voters in the district will presumably be looking for a calmer form of representation in November.